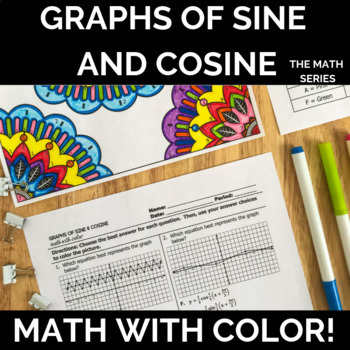 Graphing Sine and Cosine Functions Math with Color! 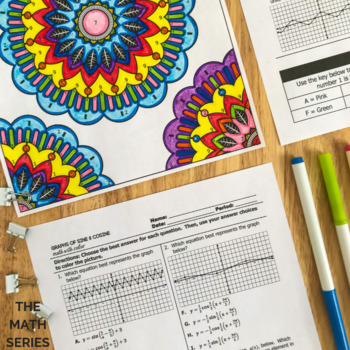 Looking for an engaging way to get your students analyzing sine and cosine graphs? 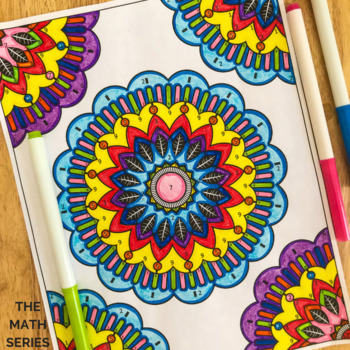 This coloring activity includes 9 test-prep questions designed to help your PreCalculus or Trigonometry students review their knowledge of graphing sine and cosine functions and identifying their characteristics. Please note: This activity has students working with trigonometric functions of the form y = A sin(Bx + C) + D, y = A cos(Bx + C) + D, y = A sin B(x + C), and/or y = A cos B(x + C). For an activity that has students only working with functions of the form y = A sin (Bx + C) + D or y = A cos (Bx + C) + D, click here. 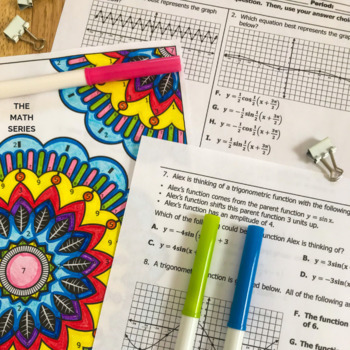 This no-prep resource includes directions, a two-page student worksheet, a coloring page, and a worked-out answer key. Click on the preview for a closer look at all the questions in this activity!